WASHINGTON — Former President George H.W. Bush was remembered Wednesday at an invitation-only state funeral being held at the National Cathedral. Among those who attended were President Donald Trump, George W. Bush, Jimmy Carter, Barack Obama, Bill Clinton and his wife — Trump’s 2016 Democratic rival, Hillary Clinton. As well as both national and international dignitaries. Watch video from the ceremony at WTOP.com. 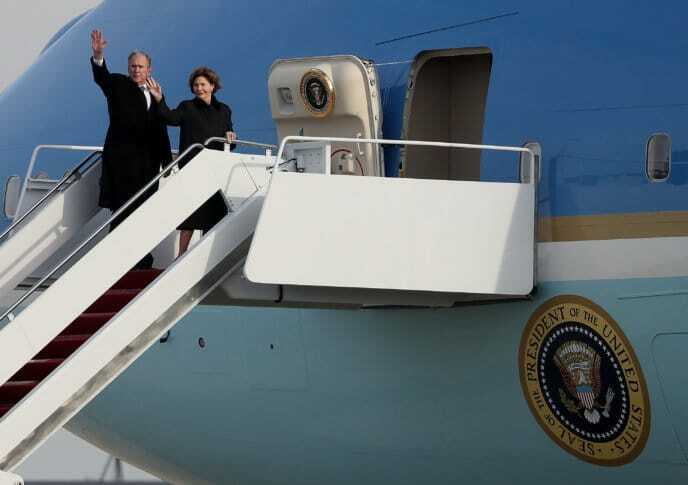 After the D.C. funeral, Bush was returned to Houston to lie in repose at St. Martin’s Episcopal Church until 7 a.m. EST Thursday before a burial at his family plot on the grounds of his presidential library in College Station, Texas.